The Accent is Hyundai's least expensive car, but it's also welcome proof of how far the automaker has come in a few short years. Once relegated to "econobox" status, today's Accent looks and feels more substantial than its sub-$16,000 starting price might suggest. 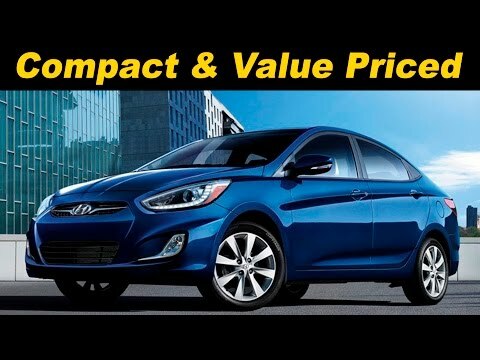 Available as a sedan or hatchback, the 2015 Hyundai Accent offers value, efficiency and easy operation. Small sedan with a few features. The car I currently drive is a good first car for those who want to build up their credit score and wants a small sedan style too. -the mpg is 28 city / 38 highway, I personally do not agree. The most I have gotten on highway is 23 mpg, not happy with it. -reliability is good, i'd rate it as a 8/10. Their are not many issues with it mechanically either as long as you keep up with the check-ups. -comfort wise, it is basic as it gets. No electronic front seats, no lumbar support. -features: Bluetooth capability, USB connections, CD player, auto-lights (led headlights), cruise control, music control due to speed, rear window defrost a windshield defrost. Reliable, fashionable, great on gas. I purchased the gals model, so the most advanced thing about my vehicle are the power windows and locks. However, this is all I really needed. It gets amazing gas mileage- I used it to deliver pizza. All in all, I love my accent, there is plenty of room in the front and back seats so no matter how much leg you have, you are able to be comfortable. It even came with an AUX port, which I felt was very necessary. The sound system is amazing for being stock. All in all 10/10, would buy again! Just to be careful of the blind spots. I just bought it about a year ago and it is very comfortable and good on gas. The bad thing about it is that it has a lot of blind spots and is bad to back out. Also bad that it is low to the ground. I like that it is very affordable and felt very comfortable on my road trip that was 11 hour drive there and 11 hour back the car helped me save lots of money because of how good it is on gas. I cannot complain much besides that it is small the good outweighs the bad for sure. Hyundai Motor America (Hyundai) is recalling certain model year 2015 Accent vehicles manufactured September 15, 2014, to February 10, 2015. In very cold temperatures, the occupant detection system (ODS) may not be able to determine if a child restraint seat is in the front passenger seat.